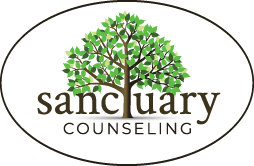 Group Counseling | Sanctuary Counseling, LLC. Our groups run for 6 sessions biweekly on Fridays at our Douglassville center from April 12 though June 21. You can also check out some of our upcoming retreats and expressive arts workshops for more opportunities to connect with our community. All too often, emotional and psychological distress leads to a sense of isolation and stigmatization. Group counseling can provide people with an opportunity to find support in a safe, supportive, communal setting. Sharing in the presence of others facilitates trust and perspective, and group members are empowered to receive and give help or feedback to their peers. Simply stated, group counseling can be dynamic and powerful. Sanctuary Counseling provides groups focusing on a variety of topics and we are always open to developing new groups to meet the dynamic needs of our community. Take a look at some of the groups we’re running and let us know how we can help you! This group is offered at Sanctuary Douglassville and open to current and new clients! This psychotherapy group is for teens who are interested in exploring and processing their identities with other young people doing the same! 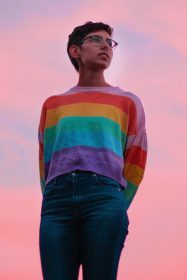 As information about the LGBTQIA+ community becomes more accessible, it can be helpful and enjoyable to process it all in a safe and accepting environment alongside new friends. Teens will be empowered together to better understand themselves, learn new communication and coping skills, and make new connections. This is a closed group that is intentionally limited to eight members to maximize therapeutic benefit and promote group connectivity. Cost: $288 for all six sessions – Payment Plans are Available! Please call us at 610-385-3155 to register today! Please contact your local Sanctuary Counseling location for more information! The scars of sexual assault can leave us feeling ashamed, powerless and isolated. It can be hard to feel as though life will ever move on, that you are not broken, and that anyone can possibly understand what you are going through. In this six session group we will help develop skills to cope with trauma and find companionship with women who understand what you are going through. This group is for feminine-identified people who long for an accepting community to process, cope and connect with. Join us for a time of meaningful reflection and lasting connection. This is a closed group that is intentionally limited to eight members to maximize therapeutic benefit and promote group connectivity.